TNAHD Thanjavur Recruitment 2018 2019 has released and you can check their Application Form on official website. 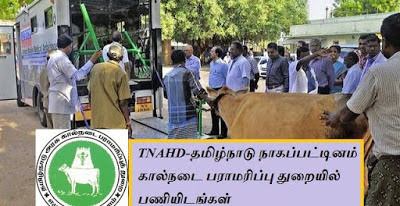 It has revealed for 201 Animal Husbandry Assistant Posts. Want to know more details? Here we have updated latest info about regarding the process of examinations and interview, eligibility criteria, Offline registration processes, TNAHD Thanjavur Result Date. Find here all details below. Commissionerate of Animal Husbandry & Veterinary Services (Department of Animal Husbandry). Department of Audit for Milk Cooperatives.